Sacred 3 is a straightforward hack and slash RPG that allows you to jump into various fantasy locales, either alone or with friends, for mindless fun. Unfortunately mindless becomes the key word in that statement for a game that completely throws away what made older titles in the series unique, while also failing to do anything special or interesting on it’s own. Unfortunately not a single one of those bullet points describes Sacred 3 in any way. Instead of a seamless, open world you have a collection of arcade-style linear levels that you select from a Super Mario Bros. 3 style overworld. Even with this overworld there is only one path to progress through the levels. There are only three different weapons for each of the four characters, which unlock by leveling up. There are no side quests; only small levels that don’t have story in them and take about two or three minutes to beat. There’s no need for a mount and since you have no treasures to collect a carrier imp is not available. Overall there are over 40 levels to complete, with roughly 15 or so being actual story missions. The story missions are usually fairly long so it will take you about 8-9 hours to beat Sacred 3, which is still pretty short for a full priced action RPG. Finishing the game alone will not max out your character so you can still grind out further levels if you want to or you could try your hand at one of the remaining three classes. With all that being said about how different Sacred 3 is from it’s predecessors, it is not truly a terrible experience. The moment to moment action is fairly bland but works well. There is only one attack button (hence the blandness) and two special abilities that recharge as you kill enemies. You also have an interrupt attack which doesn’t do any damage but will halt an action an enemy is taking. Unlike most action games this button covers all attack types, including dazing shielded enemies and disrupting spellcasting. There’s no rock-paper-scissors to the combat, instead you just mash the main attack button until someone tries a special attack, which you interrupt, and then proceed with your main attack. Every now and then you throw in your own special attack to clear out big groups or take down a particularly strong enemy. While you gain new abilities, upgrade your skills and earn new weapons over the course of the game, no change makes the game feel any different than this simple pattern. Oh, that and you will roll out of the way or block incoming damage from time to time. The main purpose of Sacred 3 is to be a seamless four player co-op game but I actually found this to be less fun than just playing solo. 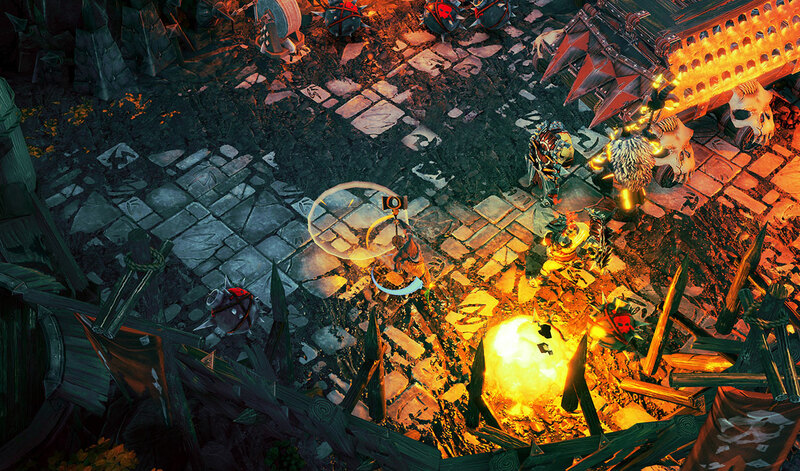 Sacred 3 has a fairly even difficulty when played alone, forcing you to deal with large groups of enemies and using movement and crowd control to get through tough areas. You could even argue there’s a bit of strategy involved. Played in co-op the game just devolves into anarchy where it’s difficult to keep track of your player amidst the madness and you steamroll through most encounters. By default anyone can join your game at any time and the drop-in/drop-out aspect works well. In general I found Sacred 3 to run very solidly. Co-op produced some occasional lag but it didn’t affect gameplay. Other than that I found my experience to be glitch free. 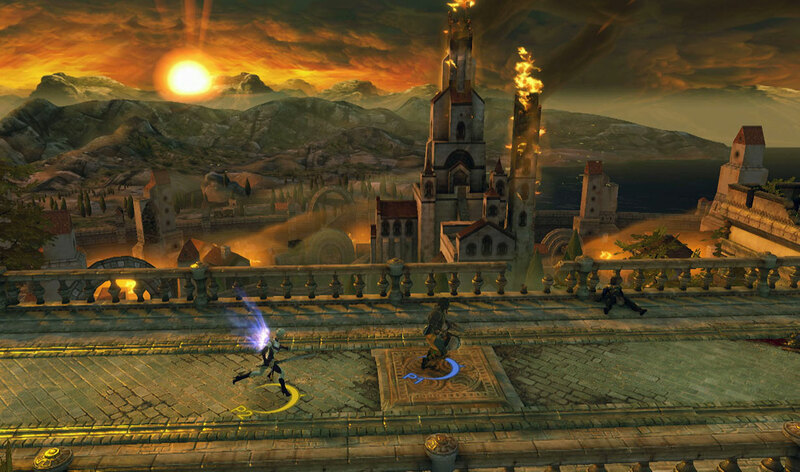 Sacred 3 is also a very nice looking game with well designed characters and beautiful, colorful environments. While the game may look good, it does not sound good. The voice acting is pretty bad throughout, but it’s not really even the delivery that is the worst part. The story is generally told from a serious tone but inside this straightforward plot Sacred 3 tries to also pull off irreverent and off-the-wall humor that comes out of nowhere. One moment you will have a character talking about about the evil General Zane and his attempts to destroy the mystical Heart of Ancaria, the next you will be subject to terrifying one liners that won’t make you groan, they will make you want to turn the volume off. It tries really hard have the wackiness of something like Borderlands (even including still images popping up before each boss with a silly tagline) but almost every single joke misses the mark…by a mile. With simplistic hack and slash controls and easy to play co-op, I could maybe have recommended Sacred 3 if it came in somewhere around the $10-$15 mark. This is what the game feels like. It feels like Golden Axe or X-Men Arcade or one of those other basic brawler games without a ton of depth; something that you can pick up and play for 30 minutes or so and have a decent time. Instead Sacred 3 is trying to pass itself off as a $50 triple-A action RPG, something that the game falls well short of. 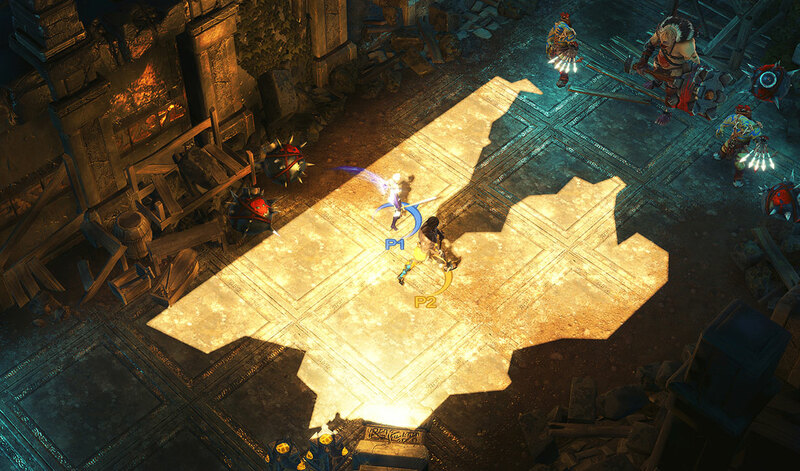 A copy of Sacred 3 was provided to Pixel Related for review. Tags: Deep Silver, Sacred 3. Bookmark the permalink.